One of the most consistently popular posts on this blog is about using the The Ultimate Tag Warrior WordPress Plugin. In that post I give you some basic methods on how to set up a tag cloud and list of tags in your post meta data section. This is one of the most amazing and versatile WordPress Plugins around with so many options and configurations, it takes some digging into the code and documentation to uncover them. During this month long series of WordPress Plugins, some people have asked me to do a “Ultimate Tag Warrior for Dummies” article so they could make UTW work for them without much thought to to get the customized look they want for tags in their WordPress Themes. I’ll do my best. For those unfamiliar with the Ultimate Tag Warrior (UTW), it is a WordPress Plugin created by Christine Davis for the full version of WordPress that adds tagging capabilities to your WordPress blog. You can add tags automatically to your posts, with no interaction with your WordPress Theme template files. It also allows you to add tags to your WordPress Theme template files, expanding your options for displaying and using tags throughout your blog. The latest version features AJAX technology to allow you to add tags to your post directly on your blog post and many other bells and whistles. I’ll stick to the basics to help you understand how to use UTW to display tags on your blog. The Ultimate Tag Warrior WordPress Plugin as one the first and most extensive ways to add tags to your WordPress blog. It became so popular, Christine added the Ultimate Tag Warrior WordPress Plugin Support Forum for others users to help her answer questions on how to use the Plugin in their WordPress blogs. To get the answers you need about this Plugin, head there first. Once you have installed the Ultimate Tag Warrior Plugin, go to the Administration Panels > Manage > Tags panel to set up the configuration on what tags you want where in your WordPress blog. You will also find links for more information and help. How to Install, Configure, and Use WordPress Plugins. In the first part, I’ve put together a how to display UTW tags from the WordPress Administration Panels. In the next section, I’ll showcase some copy and paste code to create the tag lists and clouds you may want for your tags in your WordPress blog. If you are unfamiliar with UTW, I recommend you start with my article on The Ultimate Tag Warrior WordPress Plugin and then come back to choose the format to feature tags on your WordPress blog. The Ultimate Tag Warrior features two configuration panels, accessible from your WordPress Administration Panels > Manage > Tags. One is to manage your tags and the other is to configure how you would like the tags to appear on your blog. Under Manage Tags, you can manage some of the programming elements of UTW such as editing tags to fix spelling and errors or change the wording, assign synonyms which add to the related tag words when a site search is initiated, convert categories to tags, and maintenance and troubleshooting utilities like Force Reinstall, Tidy Tags and Custom Fields. Custom Fields should probably more accurately be called “Tag Import and Export” as it allows you to move tags around from one custom field into UTW and to export tags to Custom Fields as well. For example, if you have been using a meta tag keyword WordPress Plugin like Jerome’s Keywords WordPress Plugin, you can import the keywords from the keywords custom field created with the Keywords Plugin into the list of tags for UTW. The keywords in the keywords custom field table will remain there, so you can use them in both places. This also works if you have been using another tagging WordPress Plugin and want to move to UTW. Import the custom field words and then you can deactivate the other tagging Plugin. You will find other options there to help you manage your tags, including changing words and merging them together. In the Tag Configuration panel you will find the meat and potatoes of the Ultimate Tag Warrior. For specific instructions on how to configure your tags, see Tag Configuration in the Ultimate Tag Warrior help files. In general, here is a summary of what each element does. URL Settings: If you are using Permalinks, this section allows you to control the end results of the link address/URL shown when accessing site search tag results. Instead of the links reading index.php?tag=tagname, they would read /tags/tagname. Nothing is done to change the structure of your website directory. No directory or folder is created called “tags”. This is a virtual directory only found in the link address. For this to work, your .htaccess must be writable and you must be already using Permalinks. Embedded Tags: If you are not using the WordPress Administration Panels to write your post, using instead one of the many other blog posting services, you can instruct Ultimate Tag Warrior to search for embedded tags within your post after you hit save or publish and convert them into tags. Simply type the information in your post and where you want a [tag]tagname[/tag] you can highlight it with the [tag]brackets[/tag] and UTW will recognize them and [tag]import[/tag] them into your tag list. The tags will not display on the post but in the tags, so you can wrap any word in an embedded tag or make a list at the bottom of your post. Debugging: If you are having problems and are instructed to turn on the debugging feature, this is where you will do so. Automatic Tag Link Inclusion: There is much UTW can do automatically. Two options are to automatically include tags in your blog feeds, and to include tags within your post content area. Automatic Feed Tags: If selected, tags will automatically be included in the feed for your blog. They will link to your site and permit a site search based upon the tag keywords. This is also known as a local search. , giving you a little more control over the look of the tags. If you will be manually adding UTW template tags to your template files of your WordPress Theme, do not set these options. Global Formatting Settings: The Global Formatting Settings are the controls of how your tag lists will look, whether the tags are added automatically or manually to your WordPress blog. Here you control the font colors and sizes for displaying your tags. If you have selected a UTW tag format that includes icons of the various tag services, you can select which of the tag services you would like to include in your list. Editing Options: This section allows you to set whether or not you want to add the names of any categories to the list of tags. In WordPress, categories are automatically set as tags, but UTW gives you the option of including your categories, or not, in your tag list. This section also gives you three choices for displaying the list of tags in the Manage > Write Post panel. You can have none, leaving only a blank field for you to enter your tags manually, relying upon categories or embedded tags to be added automatically; Tag List creates a list of existing tags, which can get really long if you use a lot of different tags; and the dropdown list offers tag choices in a dropdown menu, which can also be very long and drop below your screen if you use a lot of different tags. Personally, I have so many tags I set this to none as it overwhelmed my Write Post panel with the lists. It was faster to type them in than hunt through a huge list. 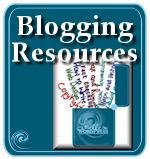 When you’ve made your changes, click SAVE and the changes will be applied to your blog. In the Tag Configuration panel, you can set the format of the UTW tags. You can also bypass most of the configuration elements to manually add the tags to your WordPress Theme template files so they appear where and how you want them to appear. You can also create a custom template file to display the generated list of tag search results on your blog. Before we start formating your blog’s tags, you need to decide where you want the tag links to send the reader. If you are using site search tags, clicking the tag link will showcase posts with that tag from your blog. If you are using tag service links, like Technorati or del.icio.us, or you want the links to display search engine results from Google or elsewhere, clicking on that tag link will take the visitor away from your site to that tag service, generating a list of related tags search results – other blogs using the same or similar tag. You can use one or the other, or both. Knowing which you want to use when needs to be part of your plan and set within the Tag Configuration Panels or through the choice of tag functions. Choose carefully to ensure you get the right destination when your visitors click the tag links. For specific and detailed instructions on how to embed UTW Plugin template tags into your WordPress Theme, see the documentation on Ultimate Tag Warrior Help with Integrating Tags into your WordPress Theme. There is also a list of predefined tag formats that you should study carefully to determine which how you want your tags displayed. The UTW_Function_Title tells the Plugin which function you want to use. We’ll explore the various functions the Ultimate Tag Warrior uses below. UTW tags are broken down into two categories: (1) tags on your post page and (2) tags within your WordPress Theme outside of the WordPress Loop. From within the post and the WordPress Loop, tags show are either for or related to the current post. They are not a list of all the tags within your entire blog. Tag lists outside of the WordPress Loop shows tags listed on your whole blog. I will show you various ways to display tags with UTW inside and outside the WordPress Loop. Each of the following tag examples must be within the WordPress Loop. Typical locations are under title and author byline or in the post meta data section, the information about the post featured at the bottom of the post content area. For examples on how to put these Plugin template tags into your WordPress Theme, see How to Install, Configure, and Use WordPress Plugins for an explanation of the WordPress Loop code and placement of tags within it. 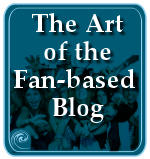 See also my post on The Ultimate Tag Warrior WordPress Plugin for a basic introduction on using UTW. The following UTW tag links will generate the tags for the current post with links to tag search results within your blog, known as instrasite links. Most bloggers label these: “Site Search Tags”. These Plugin template tags are typically used under the post title and author byline or at the bottom of the post in the post meta data section, where the date and time, categories, and other post information is displayed. You can put them anywhere, as long as they are within the WordPress Loop area. The UTW_ShowTagsForCurrentPost function displays the tags for this current post. There are a variety of formats to choose from. This first example shows a list of tags for this post in a single line of tags with a comma separating each tag name, with each link generating a list of your blog posts. 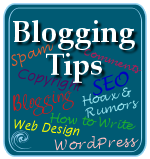 This post is included in the following tag categories: WordPress, blogging, blog writing, and writing tips. The Ultimate Tag Warrior WordPress Plugin allows for intrasite links to tag pages or search results, and it also features a variety of Plugin template tags for external search and tag service results including Technorati, Flickr, Wikipedia, del.icio.us, and a tag feed link, or combinations thereof. Warning: In my humble opinion, it is a mistake to limit your tags to only off-site links and services. You want to encourage your visitors to stay on your blog and find related content within it, not without. If you add external site links to your tags, I highly recommend you also include a list of on-site tag links. To list your tags to these external, off-site locations, you use a different template tag formattype, specifying which service and style you would like for the tags on the current post. The Ultimate Tag Warrior also gives you an option of showing related tags for the current post. This is a nice feature to use in combination with the tags for the current post, expanding the visitor’s tag options. The function name is UTW_ShowRelatedTagsForCurrentPost and it uses the same format types as the show tags for current post function. Consider using the limit parameters with your list of related tags. If you have 50 tags related to the current post, but only 5 tags for the current post, the related tag list can overwhelm the current tag list. Consider restraining the list of related tags to 10 or less, depending upon your needs. If there are no related tags for the post, the related tags list will show “no tags”. A rarely noticed feature inside of the Ultimate Tag Warrior gives you the ability to find related posts for the tags on the current post. The function name is UTW_ShowRelatedPostsForCurrentPost. There are three format types for the related posts feature: postsimplelist, postcommalist, and posthtmllist. To limit the number of related posts shown in the list, use the limit parameter. If there are less than the limit’s settings, only those posts will be shown. The Ultimate Tag Warrior tags used above must be used within the post content area and the WordPress Loop. The following UTW template tags are to be used outside of the WordPress Loop. Common areas are in the sidebar, footer, and even the header. The tags shown by UTW outside of the WordPress Loop represent the tags on the entire blog, not just a single post. Like the previous examples, the tag links can stay on-site or go off-site. In these examples, you need to consider how many tags you want shown, as well as how you want to display the tag lists. If you have more than 75 tags on your blog, you might want to only showcase the top 25 or 50 tags as not to overwhelm your visitors. Setting a limit on the number of tags shown within the Plugin template tag takes advantage of the limit parameter. For examples of how to include these Plugin template tag examples into your WordPress Theme outside of the WordPress Loop, see How to Install, Configure, and Use WordPress Plugins. The Ultimate Tag Warrior also includes instructions on how to create a showcase tags page for a list of tags for the entire blog using the tags.php template file you create and add to your WordPress Theme. For more information on creating a custom tags page, see Ultimate Tag Warrior Help: Formatting the tags.php. For these examples, I’ll be sticking to featuring the tags within the Theme itself, though the Plugin template tag examples will work on a template file. In this first section, we’ll look at how to create tag lists with words, then tag clouds. In the last section, we’ll explore how to graphically represent your tag lists. A tag word list is just a list of tags on your blog. You can feature them as a list of the most popular tags, or a weighted list, featuring tags of various sizes larger or smaller depending upon their popularity. To increase the number in the list to 25, change the 10 to 25. By default, UTW tag clouds are limited to the top 150 tags on your blog. To display all of the tags on your blog in your tag cloud, change the limit parameter to 0. This is great for use on a single page view of all your tags, but if you have a lot of tags, it will make a huge list and slow down the loading of your blog’s pages. To show a list of tags in a cloud effect, where the words are all on one line that wraps to the width of the container they are in, such as the width of your sidebar, you could use one of the “cloud” format types. The most common format for a tag cloud is an alphabetical list of tags of various font sizes. tagsetsimplelist creates a simple list of tags with an “and” between each tag. tagsetcommalist creates a simple list of tags with a comma between each tag. tagsettextonly creates a simple list of tags without links which can be added for keyword impact in your header or footer. coloredtagcloud creates a colorized tag cloud of tag words, with the color highest intensity on the most popular tags. Color options set in the Tag Configuration panel. 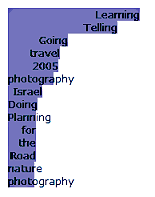 tagcloudlist displays a tag cloud in the form of an ordered list (1, 2, 3), with popular tags emphasized by font size and color. sizedtagcloud features a tag cloud of tag words, with the popular tags emphasized by font size. coloredsizedtagcloud is a tag cloud of tag words, with popular tags emphasized by font size and color. coloredsizedtagcloudwithcount creates a tag cloud of tag words and a count of how many posts have each tag, with popular tags emphasized by font size and color. The Ultimate Tag Warrior also offers functions to display your UTW tags in graphical formats rather than just with words. These format types are used mostly with the UTW_ShowWeightedTagSet function, though some have used them with the UTW_ShowWeightedTagSetAlphabetical function for some interesting visual results. weightedlinearbar creates a bar across your page with the largest and darkest sections representing the most popular tags. No words are shown in the graphic representation. weightedlongtail creates a long-tail curve graph, with the most popular tags showing the longest lines. No words are shown in the graphic representation. weightedlongtailvertical creates a long-tail graph of your blog’s tags in a vertical format. 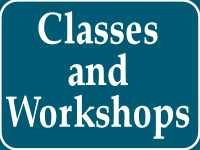 The tag words are shown in the list and CSS styles can be used to format the list. While the first two graphic representatives of your blog’s tags feature no visible words, hovering the mouse of the different sections pops up a title tip with the tag words. You can see examples of what these options would look like on Christine Davis’ help file for Ultimate Tag Warrior Predefined Formats. The above examples are the “built-in” easy-to-use Plugin template tags and functions for the Ultimate Tag Warrior WordPress Plugin. Let’s dig a little deeper and customize it even more. Using percentage substitution tags, formatting instructions wrapped with percentage sign symbols, inside of the format parameter, you can control where your links go and have a finer control over how they look on your blog’s tag lists. I’ve included a list of percentage substitution tags for the Ultimate Tag Warrior below and you can find more specific information from the Ultimate Tag Warrior Custom Formats List. Let’s look at how these work to customize how your UTW tags can be displayed on your WordPress blog. The percentage substitution tags open up a whole new world of ways to format your blog’s UTW tag lists. By leaving the formattype blank, and inserting exactly what you want into the format parameters, there are many ways to format your tags. This isn’t much different from using the HTML list format above, so let’s take it further and add a feed link and icon (stored in your WordPress Theme folder) to each tag in the bullet list. You can also create custom tag lists for del.icio.us, Wikipedia, Gada.be, and Zniff. What if you don’t like the idea of an HTML list but want to design a list of your blog’s tags with an icon, such as a star, between each tag link? Use your imagination to see what types of UTW tag clouds and lists you can create. If you would like to showcase your UTW Plugin template tag formats here, we’d love it. Just remember to use the <code> format and convert all your < into &lt; and quote marks into &#34; and apostrophes into &#39; to let your code be seen. For more information on how to include code in posts and comments, see WordPress.com Blog Bling: Signatures and Writing Code. The Ultimate Tag Warrior Plugin has proven so consistently popular, there are now quite a few WordPress Themes that come enabled for UTW right out of the box. There are also other WordPress Plugins that work in combination with UTW to expand the options. Many of these are listed in Ultimate Tag Warrior WordPress Plugin Themes, Extensions, and Other Hackery. Extended Live Archive: Creates an AJAX archive list of your blog posts, including tags. If you are having trouble with these two Plugins, see Squible’s Livesearch with UTW. Google Sitemaps Integration: Integration of UTW tags with Google Sitemap Generator for WordPress Plugin. SEO Title Tag WordPress Plugin: Incorporates UTW tags into the title tag of your WordPress blog. Tags in the Head: Adds Meta Tags to your blog’s “head” section, including the optional inclusion of UTW tags. Add Related Posts to Your Feed WordPress Plugin: Using the add related posts to feed function, this Plugin does the work automatically for you, and UTW tags are added to your outgoing feeds. UTW-RPC Plugin: While hard to understand the Plugin description, it appears this WordPress Plugin adds UTW tags to blog editors as well as to outgoing feeds, with a lot of customization and configuration options. Ultimate Tag Warrior on WordPress and Windows Live Writer: Integreates using Windows Live Writer to publish WordPress blog posts along with UTW tags. How to make ecto work with Ultimate Tag Warrior: Offers the manual hack to add tags to integrate UTW tags into Ecto for publishing WordPress blog posts. UTW-RPC Plugin is based upon this hack. Flying Sparks – ReTag Post Extension Plugin for UTW: Adds a ReTag menu to your Manage Panel to view the last 15 posts with along with your current post tags and site cloud map, allowing changing of the tags on the posts and fast saving. It also features next and previous navigation. Dropdown Archives Widget for WordPress: Displays your posts in an archive within a dropdown menu and offers optional UTW support for inclusion on the list. Rumors are floating around about the Ultimate Tag Warrior, so expect some changes in how it works and what it does soon. In one recent discussion, Christine David wonders if it’s time for a revolutionary change in how UTW works, debating about breaking it up into tag style specific Plugins or leaving it as a whole. WordPress is also debating over the issue of categories and tags and considering bringing in tag technology into the core of WordPress, and UTW would be a prime candidate. Who knows? This entry was written by Lorelle VanFossen and posted on February 19, 2007 at 4:49 pm and filed under WordPress, WordPress Plugins, WordPress Tips with tags 30 days of wordpress plugins, how to use wordpress, wordpress, wordpress help, WordPress News, WordPress Plugins, WordPress Tips, wordpress tutorials. Bookmark the permalink. Follow any comments here with the RSS feed for this post. Post a comment or leave a trackback: Trackback URL. Lorelle, I nominated you for a Thinking Blog Award. Sorry if the UTW-RPC plugin description is hard to understand, but it basically just implements the ecto hack using a plugin instead of actually modifying any core files. It adds some other features that you don’t need to worry about, and actually has no configuration options to be concerned with. Just activate it and most external editors will work with UTW using the keywords field. Thanks for the link love – I wish I had time to prepare such a wonderful post describing so many of the benefits, and simplifying how to use UTW. I think one of the biggest mistakes people make with UTW is not using a local tag space. There is no need to link through to Technorati for Technorati to recognise a tag. The microformat simply requires that you link to a tag space. Creating you own tag space does create duplicate content, but I have always received more search traffic to sites using tag pages extensively than without. The thing to be careful with is not to have too many external link on the multiple variations of your content. Andy: You have written some great stuff about UTW, it was an honor to include it in this list. And I totally agree with you. People worry too much about the duplicate content issue. It’s mostly against those who abuse, not the typical blogger using tags and such. Thanks for clarifying that. Ajay: It’s always a pleasure! Thanks. Fixed. I’m sure there are a few more in there. This kind of stuff is very hard to write on a WordPress.com blog. Yeah it’s a great explanation about UTW. I waiting to install it and configure correctly. I was wondering here. Can I show the related tags for a current tag in archive? 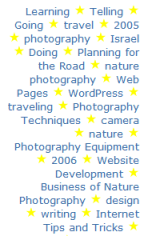 In tag archive, can I merge the current tag with its related tags in a link, for a related tag cloud/list? Example: I’m seeing the tag archive for the tag “wordpress”. So, one of the related tags for current tag would be “lorelle”. I want to create a link to tag archive “wordpress+lorelle”. I know I can search tag archive with two or more parameters. So, if I can merge two related tags I will help my reader to find a more useful content. You mean custom “related tags” on the tags template file? That sounds like a good question for the UTW support forum. Hi! I was wondering if I could ask you a tech question? I’ve been trying to use the code you have above for listing the tags with an RSS feed icon as well, but when I click the feed icon or the tag name itself, it takes me to a blank page. Is there something I’m just totally missing here? Any help would be very greatly appreciated! Are you talking about the orange RSS feed icon in my signature? That’s the feed link for this blog: https://lorelle.wordpress.com/feed/ . If your web browser doesn’t “read” feed pages, then you may get a blank page. The idea is to scan the page with your feed reader to find the link and add it to your feed reader, or copy the link and paste it into your feed reader. It’s not meant to be a link you “click” just for the clicking. You add it to your feed reading program or service. Is that what you are asking about? 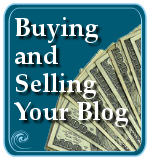 Lorelle – as usual, you are a veritable wellspring of valuable info and expertise. I have found UTW to be kind of like a state-of-the-art sprinkler system: when I get it all rigged up and synchronized right, I’ve got the prettiest yard on the block. The only problem is whenever the seasons change (i.e. an upgrade of WP or the theme I use comes out) I’ve got a muddy mess on my hands that requires hours of tinkering to resolve. I’ll admit that resolving these kinds of issues has taught me a lot of XHTML, CSS and even a little cryptic PHP that I wouldn’t otherwise have picked up. Still, it’s a lot of time that I’d rather have spent actually blogging. Right now my blog is without tags for visitors to click on, and with the development of UTW kind of in suspended animation, I’m reluctant to spend a lot of time troubleshooting it if the whole plugin is going to change soon anyway. 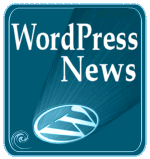 I didn’t upgrade UTW and it works fine on two of my blogs upgraded to WordPress 2.1. Until this moment, even though I’ve written about the problems with UTW and WordPress, since the older version I have works, I totally forgot. These should fix everything you need, one way or the other. I’m in the process of implementing UTW on my blog. I don’t use permalinks. URL’s to my pages and posts have my domain followed by “/?p=10” for posts or “/?page_id=10″ for pages. The URL for my tags has my domain followed by”/index.php?tag=tag”. Is it possible to remove the “index.php” from the URL so that all URL’s display consistently? “You can change the base url to just about anything you want, but it should begin and end with a slash. By default, tag pages are /tag/sometag. If you want tag pages to be /tag/sometag/ tick the trailing slashes box. If you can’t access your .htaccess file (or it’s not writable) and you can’t use permalinks, you might be stuck. Wish I could help you more. Thanks Lorelle, I’ve also posted on WordPress support and hopefully someone will enlighten me. Thanks so much for the continued valuable information. I want to make sure I understand correctly…when I click on a tag (ie ultimate+tag+warrior) I should be taken to a page that shows posts that have that same tag, right? I noticed on my blog that the page I was sent to after clicking a tag included posts that did not have that particular tag. I figured I’d experiment with your post here, to see where I went wrong, and clicked on ultimate+tag+warrior. I was brought to a page that also included posts that did not have that particular tag (ie “Post Meta Data WordPress Plugins”). What’s up with that? Am I missing something? This blog is on WordPress.com which does not permit the use of WordPress Plugins. The tags listed here are search results. So the results you get would have those words in the results, listed chronologically, not in order of importance. The UTW Plugin works like WordPress Categories. If the post is in that category, it appears in the category list. If the post has the tag, it should appear. It’s not perfect, but that’s how it should work. But only with UTW generated tags, not every tag you manually enter on a post. I recommend you check with the UTW Forum to ask for confirmation on this issue. Thanks Lorelle. I’ll see what the forum folks have to say. I love this resource; the entire site. Thanks for the walk-through; very very helpful! I see how you can list tags alphabetically or by ‘weight’. Is there a way I can organize them based on the order in which I enter them in the ‘Tags’ box when writing a post? For example, I would like tags to show up as ‘Philadelphia, Pennsylvania’, or ‘Los Angeles, California’, rather than the alphabetical ‘Pennsylvania, Philadelphia’ and ‘California, Los Angeles’. Thanks so much. That would be by ID order and I don’t see that function in the UTW guide. But honestly, why? If you use categories, which are tags, your categories can be ordered by ID with wp_list_categories('orderby=ID') which would put them in the right order. Micro-sorting your tags isn’t as important as those categories. Remember, categories are your table of contents and tags are your index. By default, tags should be sorted alphabetically. I hope that helps. I just managed to get UTW running on my WP 2.1.3 installation – yippieh! Your detailed article featured here really is a big help understanding UTW. Is there a way to use “|” instead of a “,” as separators without using and customizing the template tags, i.e. the UTW function calls? I have set “Automatically include primary tag links” to “after content”, that works best. Is there a way to add a “bar seperated list” to the core so it shows up in the options menu? Thank you very much for your help in advance! I have done this with the <?php UTW_ShowTagsForCurrentPost("htmllist"); ?> UTW Plugin template tag wrapped in a DIV styled as “utwlist” or some other style. In the CSS, I set the list to be on a single line (inline) with a border to the left of each tag word or phrase with some padding to make it look like |, the pipe. That is really a clever idea! Although: what if there are more tags than there is space (i.e. width of container)? Wouldn’t they overlap, then? Well, OK, it’s worth a try, I guess. Oh, that’s funny. I had never thought about it from that perspective. The list stays on one line and wraps down like a sentence. Try it. It will work fine. I’ve done it for years this way. I found your site some time ago and have found it to be a great source of WordPress information and I successfully used your guide about transferring a static site to WordPress. I have had UTW installed for some time but the documentation on how to use it was not very clear so I haven’t implemented UTW effectively so far. Now you have created this guide I will be able to use it so much better.Thank you for the great info. WOW!! You are too awesome. What an article. Really, this stuff was very timely for me. Thanx!! Tags are like categories in that they will show the results with that tag, not combinations of tags, though a tagged post can be in two categories or tags. If you want to put a post in two categories or tags, add each tag/category to your post. If you want them to appear in a category that combines all posts from eggs and all posts from bacon, you will need to create a bacon and eggs category. I recommend you create a parent category of “breakfast foods” and then subcategories of bacon, eggs, or whatever. If someone clicks “breakfast foods”, posts from the subcategories (i.e. tags) will be in there, but if they are only interested in eggs, they can drill down to the eggs category, which will remove all the bacon and other breakfast foods. Thanks! I was looking for the “limit” for the related links. Now I’m happy. Thanks for the great article, especially the list of plugins at the end. I hadn’t seen that Google Sitemap Integrator plugin before and I’m trying it out now. The only thing I haven’t seen that would be nice is a way to display a cloud of related tags on the tag page itself. I know you can show tags related to the current post within the loop but it’s not quite the same thing. Hey Lorelle, wonderful article. You should have taken a lot of time writting these down. Ultimate Tag Warrior plugin is one of the best and easy to use for anyone who has handled wordpress plugins.. It was a great Plugin, indeed, and a joy to work with. 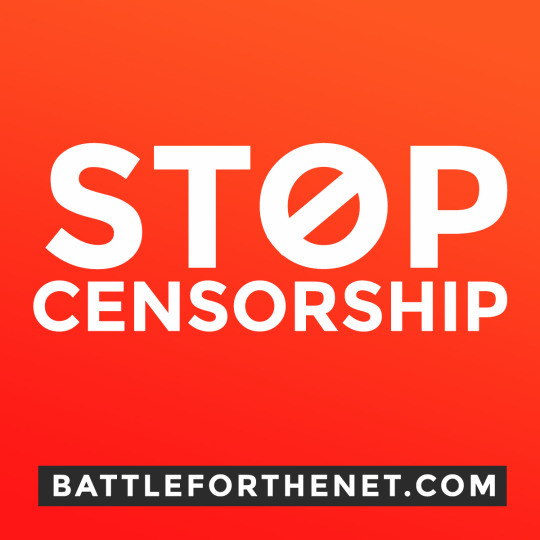 Unfortunately, as the post and comments state, it is no longer recommended as it no longer works with current versions of WordPress and has been replaced by built-in tag features. Remember to stay updated as you talk to your SEO clients.